Do you know what a bukkehorn is? Surprise—you have probably heard one! If you were playing a recital at an international symposium, how would you choose your program? Did you know that horn players play jazz? Keep reading to find out all about these topics and more in this fourth-year anniversary edition of the IHS E-newsletter. If you are new to the IHS, you have joined a long-standing organization of 50 years. If you haven’t joined yet, do it—I’ll tell you just some of the reasons why. The IHS was a perfect place for a horn nerd like me to land when I was 14 years old. I have made lifelong friends from all over the world and have heard some of the greatest concerts in my life, read articles in The Horn Call that changed my approach, and generally found inspiration for all things horn. My first workshop was mind-blowing, and each one after that continued to have performances, lectures and personal conversations that I cherish. This I wish for all of you. There is nothing that matches the thrill of actually attending a symposium. Of course, you might find a regional workshop in your area this spring to get you started. 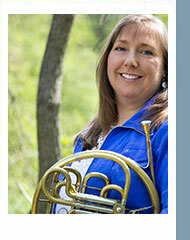 May you find the International Horn Society as inspirational as I do! Kristina Mascher-Turner: Hosting a symposium is an enormous time commitment. During this past year, how many hours a week would you say you spend working on IHS 51? How have you had to adjust your schedule to fit these demands? I mainly cut a lot of playing hours, which is bad. However, I get a lot of support from my wife Nina who is charged with the coordination of the symposium, our master student Eline who helps us with communication and practical organizing, my colleague and co-host Rik Vercruysse, our dean and the entire Ghent School of Arts team, which is good. The backing of a large organization such as the Ghent School of Arts is a big relief! KMT: It‘s always a bonus when the symposium comes to a spectacular city, and Ghent is amazing. What are some of the things visitors from far away can look forward to experiencing there? JB: Ghent is a very important place for the history of the horn: our conservatory was founded by one of the most important horn players of the early 19th century (Martin-Joseph Mengal). It was also the place that Philip Farkas’ teacher Louis Dufrasne studied! It is, as you say, a spectacular scene with its canals and splendid historical buildings. Our conservatory itself is housed in premises dating back to the 14th century….Don’t miss the Unesco Heritage altarpiece by Van Eyck in the Cathedral across the street from the conservatory! And of course there is good food, chocolate and great beer in this friendly and open-minded city. Ghent was named ‘Belgium’s best kept secret’ by the Lonely Planet guide, with good reason. We will have plenty of outdoor activities, concerts and flash mobs during the week. Since our venue is in the heart of the city, you won’t need to make a special effort to see a lot of Ghent during the week. KMT: Tell us about the Historical Horn Conference taking place Wednesday-Friday alongside IHS51- how did the idea to bring the IHS symposium and this event together arise? One of the oldest instruments in Norway, if not the oldest, is the bukkehorn. It is the horn of the billy goat, in use since the Stone Age. Setra, the summer mountain farm, is where farmers take the animals in the summertime so that they get enough to eat in the pasture. In the old days, budeia, the milkmaid, took care of the cows and the goats there; she milked, made butter and cheese. Her instruments were the wooden lur and the bukkehorn. She used them for scaring and calling: scaring away the predators - wolves, bears, lynx - and calling the cattle and the goats. To emphasize - playing on animal horns is a human, world-wide tradition, not unique to Norway. Anywhere in the world where people have animals, in any culture, I guess that they have taken up a horn and wondered if they could make sounds from it. At all times, man has used horns to warn, to give signals, to scare, and to call. To communicate. They have been used in wars and conflict, as well as in religious ceremonies. Horns from a ram or a cow, a buffalo or an antelope sound different than goat horns. In Norway, the billy goat is the main supplier of horns. I focus on the Norwegian bukkehorn: this is my heritage, so few people are playing it, and the culture of budeias’ use of these instruments is not that far in the past. It was not the historical facts or the strange instrument itself that evoked my passion for it. It was the sound. I was moved by this sound and got myself a horn, ready to explore the instrument. As a horn player, I of course have some advantages, like the lip technique and a way of playing that always searches for the tones to “ring”, to feel the richness of overtones in a way not all non horn players could. 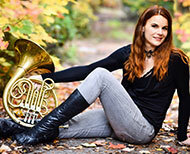 Another advantage I have as a natural horn player is a trained ear and practical knowledge of the natural tones, as well as the flexibility to “lip” tones upwards and downwards when necessary. And perhaps also the experience (or ability?) to let the instrument lead the way, not always fight against it. The program I chose for the symposium is mostly influenced by my personal taste and own musical journey. I really enjoy horn music of all eras as well as music that is sometimes put aside, like contemporary music. In fact, my concept was to introduce the audience to francophone repertoire from Quebec composers in combination with French music. I particularly love the spirit of French music. The virtuosity really excites me, along with the refined harmonies that bring a unique lyrical approach. I find that French music sings by itself! I suspect that my training at the Montreal Conservatory is in part responsible for this attachment to French composers as well as listening a lot to the Orchestre Symphonique de Montréal playing French music !! Hahaha!! Gougeon is a well-established composer. “Cor-Jupiter” is part of a cycle of works entitled "Six Thèmes Solaires.” It has become famous here and is a standard for horn competitions. It's a challenging piece that has effects such as playing into the piano and multiphonics. I wish I could introduce my favorite Quebec composer, Jacques Hétu, as well! He wrote a wonderful piece called “Lied for Horn and Piano” in the 80’s. He later orchestrated it to complete his Sérénade Héroïque for horn and orchestra, which my former teacher, John Zirbel, premiered, and which I later played as a soloist with the Orchestre Symphonique de Québec. Viennese music has had a special place in my heart since I was 13 years old, when I discovered Mahler. I come from a non-musician family, so the way to Mahler was not an obvious one! I had learned from my high school music teacher that Bernstein had just died. When I went to public library, I saw a cassette of Bernstein and checked it out! I didn't realize it was in fact Mahler’s Second Symphony with Bernstein conducting!! J’ai connu le corniste Jeroen Billiet dans le jury de recrutement du professeur de cor du conservatoire Royal de Mons en Belgique en 2016, mais c’est à Muncie (Indiana) au 50eme symposium de l’IHS l’été dernier que nous nous sommes découvert artistiquement. A partir de ce moment, nous avons commencé à communiquer, sans but précis mais sur de nombreux sujets, ce qui nous a rapproché. Lors d’un déjeuner, l’idée de participer au prochain colloque international est née, de par la présence souhaitable d’artistes représentants différents pays liés culturellement à la Belgique. Le projet m’a de suite plu, et je venais juste de découvrir un concerto dont je suis immédiatement tombé amoureux. Rêvant d’une occasion de l’interpréter, j’ai adoré l’idée de le faire découvrir au plus grand nombre, grâce au retentissement international du workshop de Gand. Avant l’été dernier, terminant l’écriture de ma méthode d’études supérieures pour cor, j’ai recherché quelques informations sur internet et découvert par hasard le concerto pour cor et orchestre à cordes de Valery Kikta, compositeur Géorgien vivant a Moscou. Il m’a fallu le contacter, ses proches, ses éditeurs, avant de trouver finalement la partition d’orchestre grâce à un corniste russe. Malheureusement, seul le score existe, aussi j’ai fait réaliser la partie de cor puis bientôt la réduction pour piano. Si ma proposition d’oeuvre à été de suite acceptée par le comité de Gand 2019 (IHS51), il n’a pas été possible de la jouer lors du concert avec Brussels Philharmonic le 5 juillet, à cause de la différence d’instrumentation par rapport au reste du programme. Le concerto de Valery Kikta sera donc joué lors d’un récital cor et piano, après le Larghetto d’Emmanuel Chabrier, concert partagé avec Bill VerMeulen le 2 Juillet. Hello to horn friends all around the world! I am looking forward to playing and sharing with you all in Ghent this summer 2019. It will be great to see many old friends and to meet new ones. I've been performing at IHS events ever since Towson, Maryland (1985? ), and it is always wonderful. At Ghent, I'll be performing on Thursday with the Mallet-Horn Jazz Band, led by Arnaud Delepine. It's a fantastic group, a kind of big band but only with horns and vibes and rhythm section. We'll be doing music by Wayne Shorter, Chick Corea, and also two pieces by me: Seattle Blues, and the Main Section from my suite Nine Surprises. Here is Seattle Blues in its original form (three brass, four reeds, bass and drums) — the reeds and brass will be played by the multi-horns and vibes. Here is Nine Surprises Main Theme (first three minutes or so) — This piece has a bit of a Bach cantata influence, with low group, middle group and high group weaving in and out — in Ghent all the groups will be played by horns. We'll have a blast! We also plan to have another special guest joining us--my old friend Arkady Shilkloper. I've known Arkady since the early 80s, when we used to write each other old-fashioned letters in the Reagan-Brezhnev era ("I wish you peaceful skies!") Here is a nice example of Arkady and me playing together in the Vienna Art Orchestra, on "Bruxelles ma Belle," a little bit ago, in 2000. Arkady solos first. 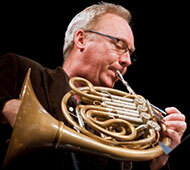 The 51st International Horn Symposium in ghent, Belgium July 1-6 will feature several competitions. In addition to the traditional IHS Frizelle Orchestral Audition and Premier Soloist Competitions, IHS 51 will also feature a Jazz Horn Competition. Greetings from the Hornet Quartet! 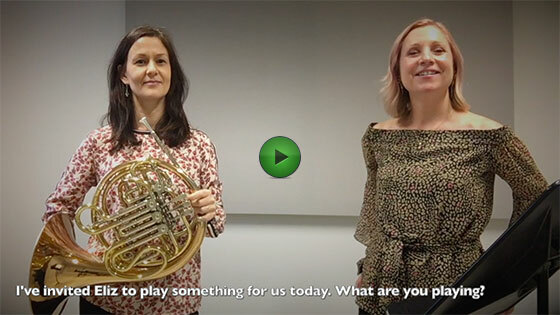 When we received the news that The 51st International Horn Symposium would be hosted by Jeroen Billiet and Rik Vercruysse in the beautiful city of Ghent, it filled us with great joy and excitement. It is wonderful to hear that the biggest and most prestigious horn event in the world is coming back to Europe this year! 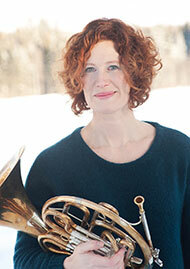 The International Horn Symposium has a very special meaning for our ensemble. During IHS 49, wonderfully hosted by Radegundis Tavares in Natal, Brazil, we managed to win the horn quartet competition and give several performances. We also made a lot of friends, and therefore we are extra happy that we will be able to attend and contribute to the 2019 symposium in Belgium. We are very excited to announce that during IHS 51 we will have the honor once again to share the stage with the amazing Virtuoso Horn Duo and to perform Kerry Turner’s Introduction & Main Event with the Royal Band of the Belgian Guides. We will also have the privilege to present our first, full CD album with original works by Włodzimierz Kotoński, Kazimierz Machala, Marc Papeghin, Walter Perkins and Kerry Turner. For more on the Belgian horn tradition and the environment for IHS51, see the article "Brave Belgians! 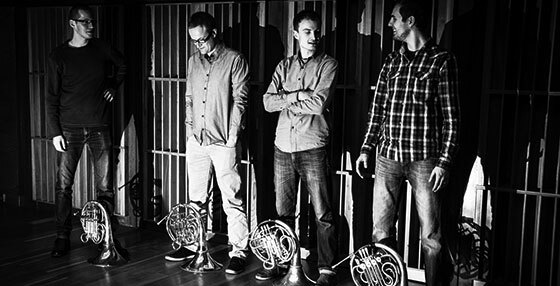 IHS51.Ghent: Return to an Iconic Place in the History of the Horn" by Jeroen Billiet that begins on page 60 of the February, 2019 issue of The Horn Call. Members Only can download it now. A few weeks ago, I was asked by Ab Koster to write an article about horn playing and teaching in Portugal. Here are a few words about the issue from my experience, knowledge and view. More complex information would require deep study. Portugal is a beautiful country situated on the western edge of the Iberian Peninsula, with an ocean, mountains, and valley, as well as a Mediterranean lifestyle. Its history is long and rich - from the struggle for independence from Spain, wars with Moors, to impressive world discoveries and conquests at sea. It is breathtaking, the way Portuguese sailors navigated their boats to Africa, India, South America, Japan etc. Here the Portuguese already demonstrated their great capacity and potential to achieve high goals, and it continues to this day. When I came to Portugal in 1988 from what was then Czechoslovakia, it was 14 years after its revolution (1974). I could still see the consequences of the dictator leadership for a long time, affecting the economy, health care, education and culture in the whole country. There were only two orchestras in Portugal, one in Lisbon and one radio orchestra in Oporto. I started my work in the 3rd orchestra in Lisbon Nova Filarmonia Portuguesa (a new international chamber orchestra). After a year and a half, I won the audition for a new international orchestra in Oporto, after the old radio orchestra was dissolved. During this time I already started teaching privately due to lack of teachers. Later I started teaching at professional music schools (sort of secondary schools or colleges for music ). After Portugal joined the EU in 1986, it began to receive financial subsidies to improve its economy, roads, culture and also education. This contributed to the creation of a new professional music school. At the time I was asked to teach at three professional schools, where I started almost from scratch. There was enormous potential to create new future secondary and university students, future players and teachers. 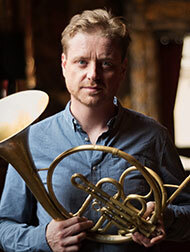 In 1995 I started teaching horn at the ESMAE in Oporto (Superior School of Music and Performing Arts), where I could fill an educational gap, preparing students for national and international competitions, jobs in orchestras and future teaching engagements. At that time in Portugal, there were only 2 universities offering studies in the horn, in Lisbon and Oporto. In the beginning it was not easy to teach horn in Portugal. It was considered a second-class instrument, known more for bands. The first-class instruments were piano, violin, cello etc. It was good to teach and play in the orchestra at the same time, to be active as a musician, playing great repertoire with world-class soloists under excellent conductors, as well as playing chamber music. Thus it was not only possible to invite my students to listen to the concerts, but also to be able when necessary to integrate the best students into the orchestra on their road to becoming professionals.